At Architectural Building Solutions, we offer a wide range of construction products and services. Whether you’re in need of full-service construction support for ground-up projects, interior renovations, design-build, or interior build-out projects, we have “Partner Contractors” and “Partner Fabricators” equipped with the tools and experience to turn your vision into reality. All of our services are delivered by an incredible team of specially recruited people instilled with our company work ethic. Our professional team members approach every assignment and project with a creative and enthusiastic attitude toward service, excellence and problem solving—a difference you will notice immediately. 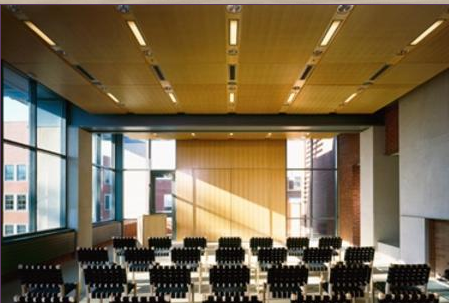 At Conwed Designscape products perform to your exact acoustical specs – and they beautifully complement the setting. 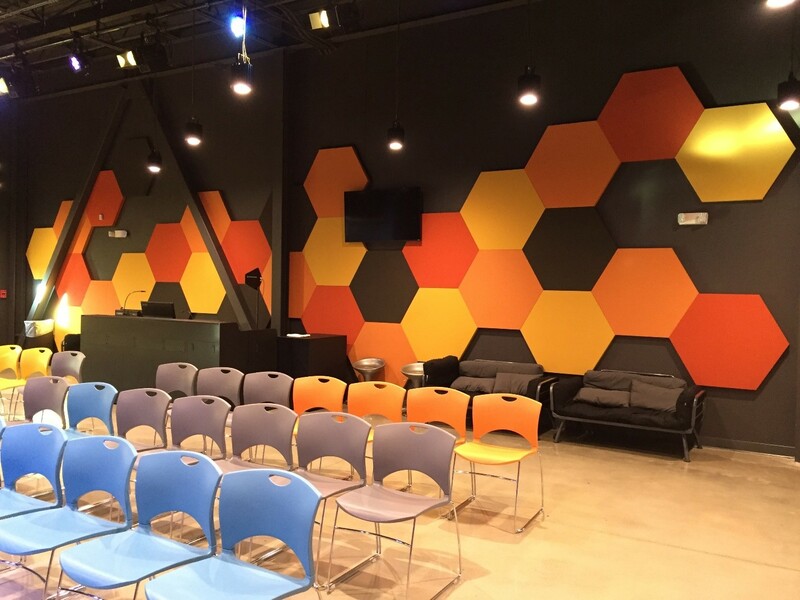 With a heritage of more than 75 years, Conwed Designscape is a leading supplier of custom acoustical walls, ceilings and related products. All designed for range of commercial, institutional, retail and other building types. What do you get when you combine a smooth and seamless look with acoustic science and a bit of green? 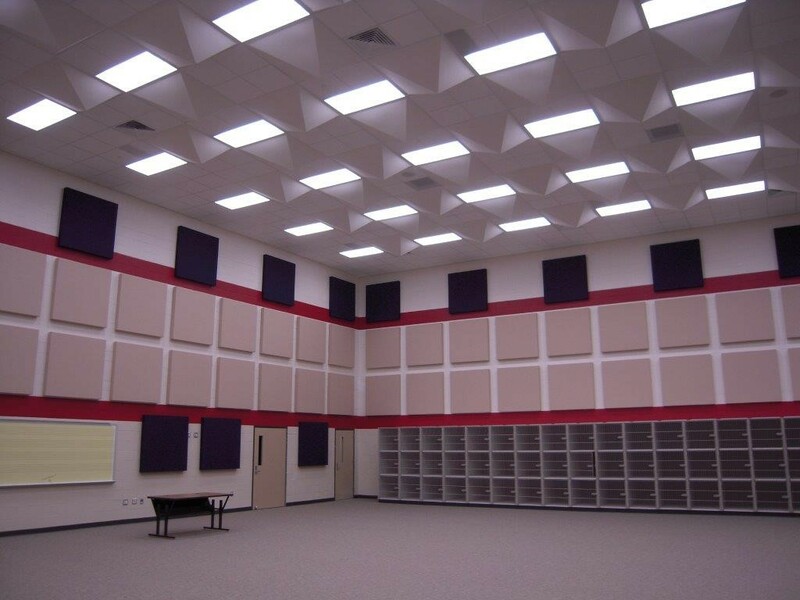 You get Eurospan® wall and ceiling acoustical panels. Available in standard white or custom-ordered colors and finishes, Eurospan® panels offer the beauty to complement a multitude of designs with the best in sound-control and enhancement. Many products also contribute to LEED projects and carry a Green Cross label. 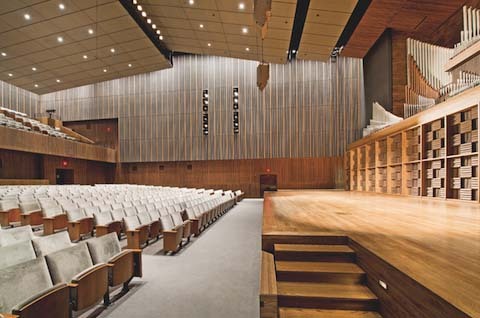 Since 1982, Wall Technology has designed and produced highly functional, high-style acoustic wall and ceiling products. 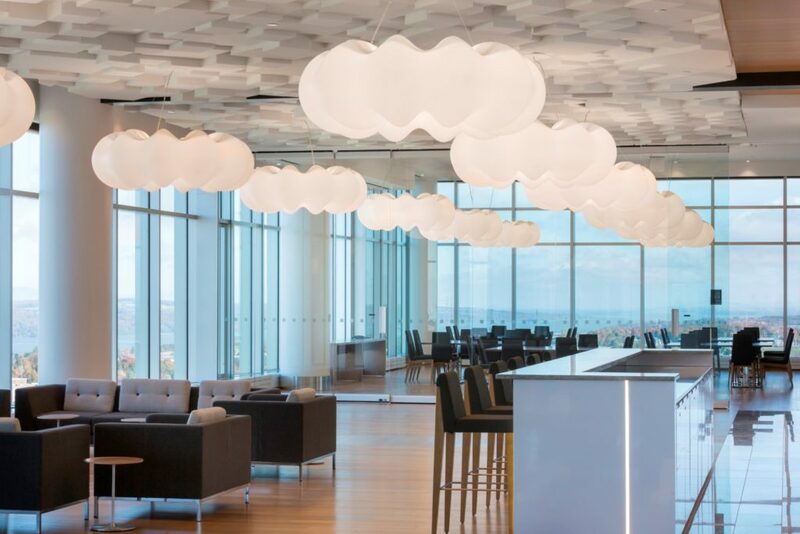 Ideal for architectural, commercial and institutional applications, we offer standard and customizable wall and ceiling panels, clouds, baffles, diffusers and other sound-control products. Many also contribute to LEED® projects. Design. Create. Inspire. 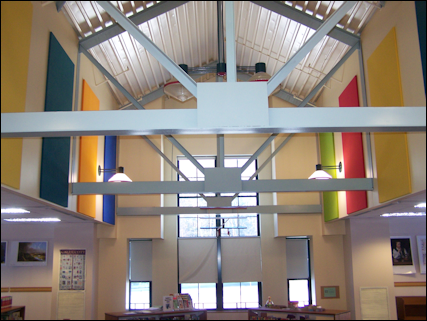 Since 1967, Norton Industries, Inc. has been an innovator of creative ceiling ideas. Headquartered in Lakewood, Ohio, we maintain a 48,000 square foot, state-of-the-art manufacturing facility. Family, woman owned and operated, we are proud of the exceptional solutions we have brought to the ceiling industry. With our experienced engineers and quality craftsmen, we have an outstanding ability to turn your concepts into reality. We want to be your ceiling manufacturer! 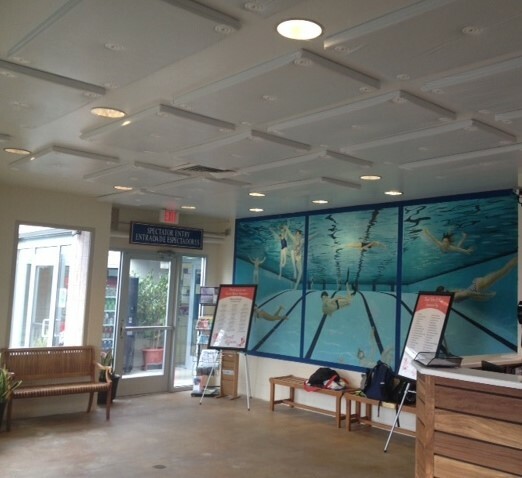 Our wood canopies are constructed of 3/4″ fire-rated mdf and we use solid wood veneers. 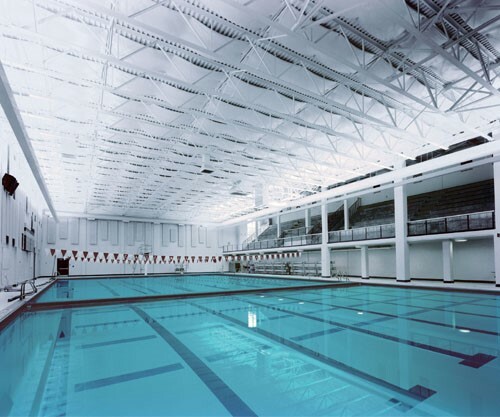 The canopies can be veneered on both sides and edges as well as perforated or solid. Our standard panel size is 4′ x 8′ however smaller panel sizes or up to 5′ x 12′ are available. Our wood canopies can be either suspended from the ceiling with a cable system or mounted by brackets with a hook-on system.Choose from concave, convex, flat, angled, s-curve or a combination of canopies. Our wood panels are made of 3/4″ fire-rated mdf and we use solid wood veneers. We offer a variety of panel sizes: standard and custom. Perimeter caps and cutouts for fixtures are available. Choose from four mounting styles that use our standard Heavy-Duty 15/16″ T-bar grid: shadow 1/4″ reveal concealed suspension, tegular, flush & wall mount. Perforate your panels by using one of our 13 standard perfo-ration patterns or customize your own. Design, create and inspire with Pretense canopies! 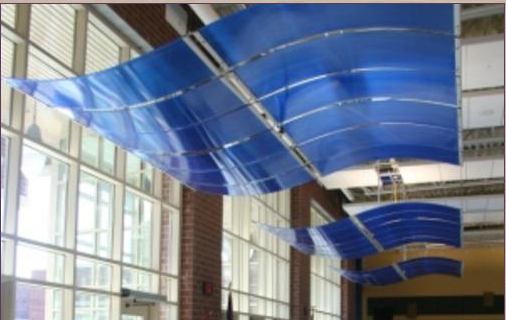 Pretense canopies use either a linear multiwall polycarbonate or a solid polycarbonate sheet which is fixed to a radius by a 3/8″ diameter rod in a silver satin finish. All hardware comes assembled, ready to connect and hang for easy installation. 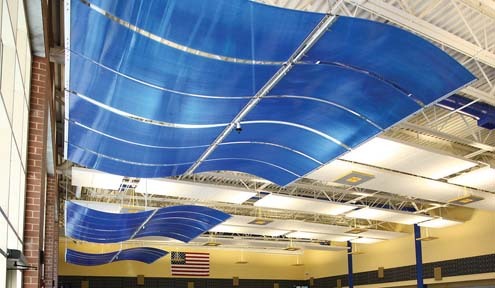 We offer a wide variety of canopy sizes, colors, patterns and configurations to suite your project needs. 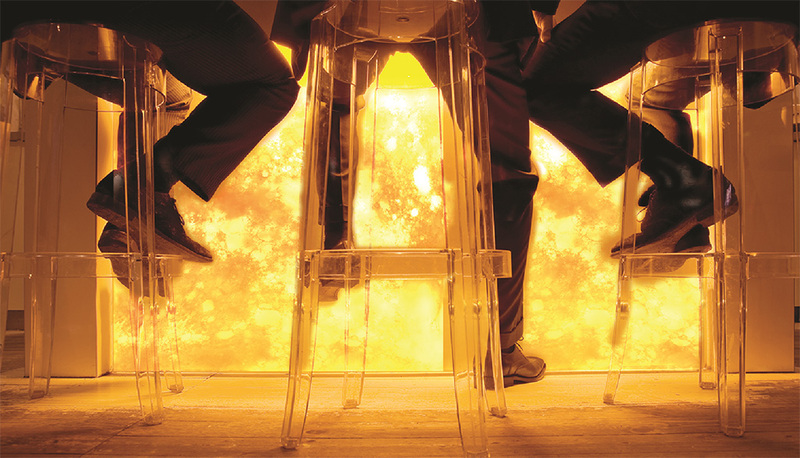 Our polycarbonate resin panels are fire resistant and completely recyclable. 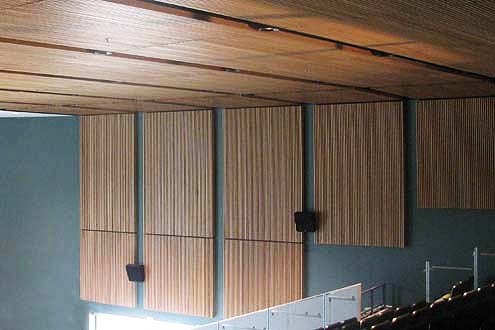 MBI Products – Since 1965, MBI Products Company has established a reputation as being the leader in the Acoustical Products Industry by pioneering many of the products used today. Our successful business existence is attributed to our eagerness to work closely with customers to help solve their noise problems and assure them a quality product that meets their needs. This idea reflects our business ideals of creative acoustical products, on-time delivery, and loyalty to our customers. Our 45 years of experience helps us to provide practical, decorative solutions to noise control for all types of buildings. 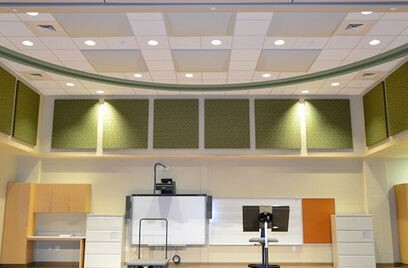 More detailed information on MBI’s line of acoustical products can be found by entering their online catalog. Each product is broken down to include technical data, finishes and color choices, CAD Drawings and Installation Details, specifications, and photographs. Use our Product Finder to help find the product best suited to your needs. Contact us to learn how to transform your ordinary space into an outstanding space. OKITE Quartz Surfacesare quite simply, the stuff of dreams. It lights up kitchens, dining areas, bathrooms or any other area of any hospitality, healthcare or other commercial projects. It’s a unique compound of resin and up to 93% natural quartz, one of the toughest and most naturally attractive of all minerals.OKITE® is highly heat, stain and scratch resistant and is extremely durable – five times stronger and more durable than granite – and non-porous. It never needs sealing. Plus, it’s remarkably easy to clean and maintain. In short, it’s a luxurious material like no other. Click here to see OKITE’s selection of colors and here for guide specifications. OKITE is proud to present our latest innovation – the OKITE Translucent Collection (Pietre Preziose), together with the “Illumination System”, allows for spectacular colors and a great impact. We create noise absorbing systems that melt with the architecture and enable people to be more productive and feel better. 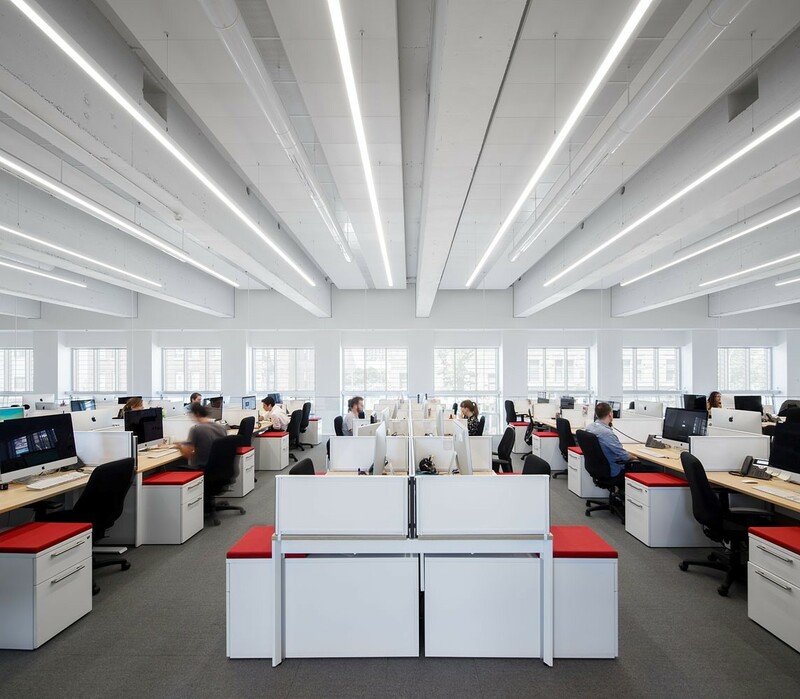 Pinta Acoustic develops dimensional ceiling and wall products that provide exceptional acoustical control and unique design. 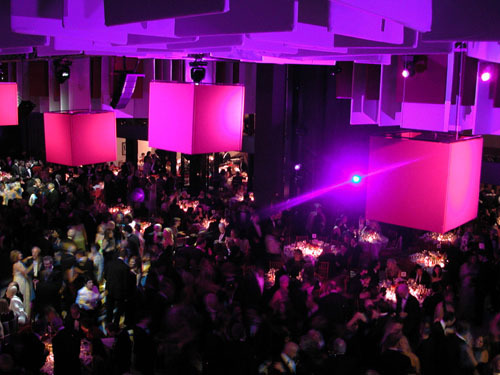 Pinta’s products are customizable to deliver creative freedom for architects, interior designers, and building owners. 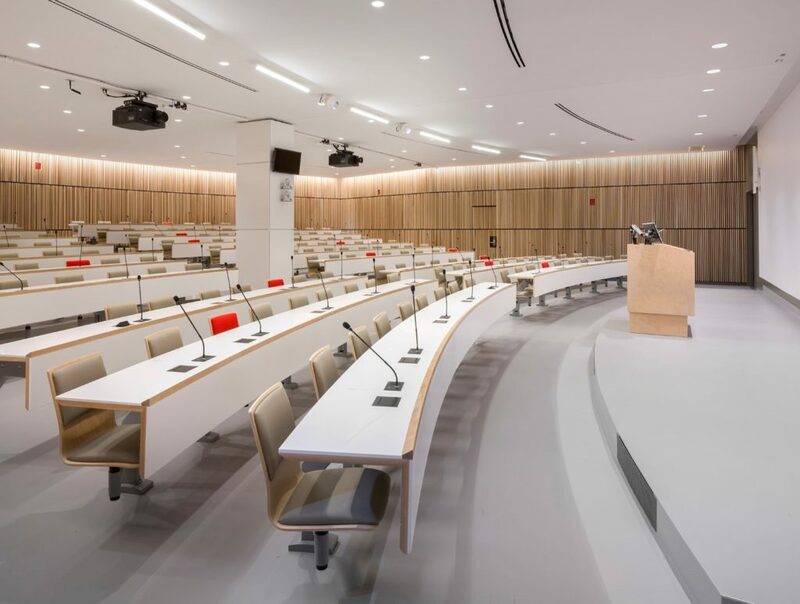 For more than 50 years Pinta has worked closely with customers to provide a signature look that exceeds acoustical, aesthetic and sustainable requirements. 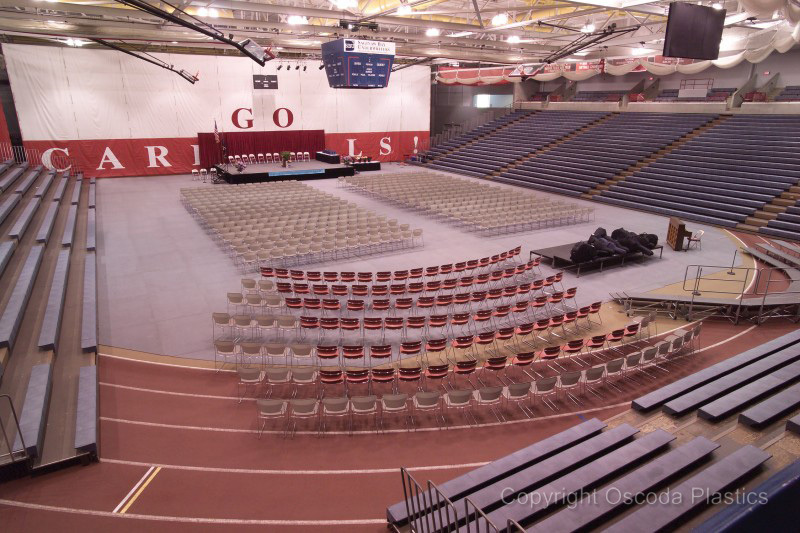 PROTECT ALL COMMERCIAL FLOORING is a slip-resistant flooring manufactured from 100% pre-consumer recycled content that provides slip, stain, and fire protection for areas exposed to water, heavy-traffic patterns, and extreme weight loads. Over 6 million pounds of vinyl waste are recycled into PROTECT-ALL every year and kept out of our nation’s landfills. Certified by the National Floor Safety Institute, PROTECT-ALL helps reduce slips and falls, and is also resistant to mildew and other bacterial growth. It does not absorb water and is non-corrosive, even when exposed to chemicals, animal fats, or grease. PROTECT-ALL is available in eight colors, varying sheet sizes and thicknesses, with matte or gloss surface finishes as well as interlocking and square tiles. PROTECT-ALL® Commercial Flooring is the leading recycled vinyl flooring product. PROTECT-ALL was created in 1989 and is made in the USA. 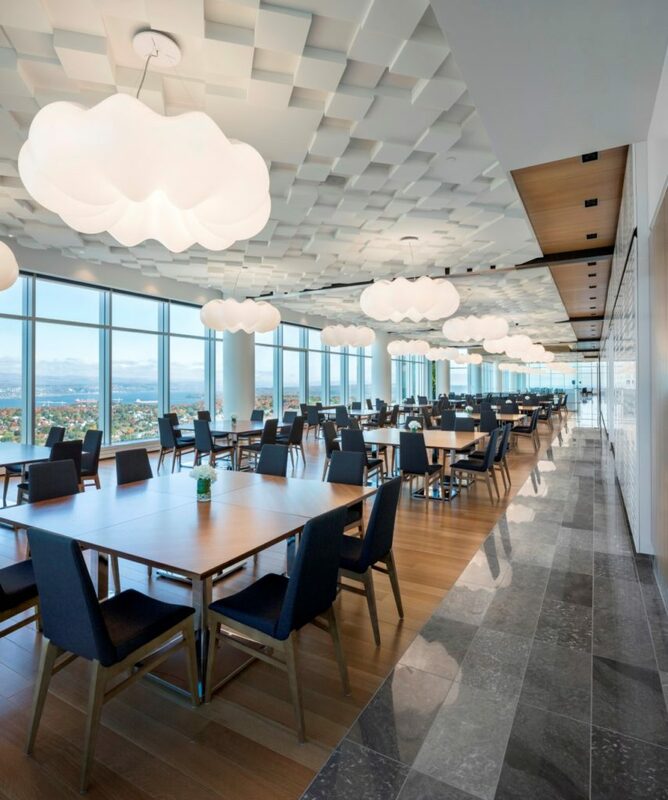 Sound Seal provides industrial noise control products, impact acoustical floor underlayments, sound quality architectural acoustical products, and WoodTrends wood wall and ceiling panels. 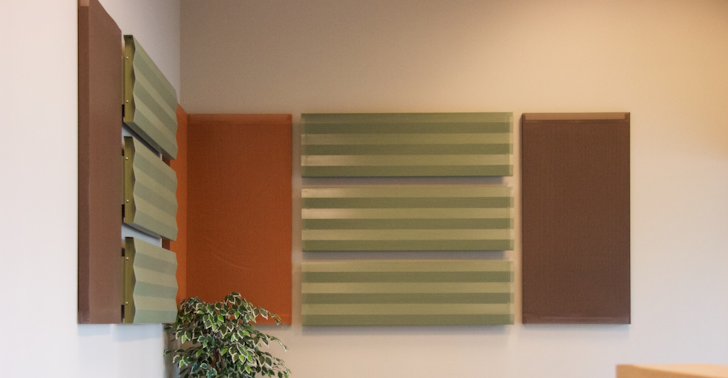 Metal Trends by Sound Seal, Inc. is a family of high performing metal wall and ceiling sound absorption panels ideally suited for new construction or renovation of any space with reverberant noise problems or where the need to acoustically tune a space is desired. Light weight perforated metal construction combines durability, economy and aesthetics with excellent sound absorbing characteristics in our easy to install modular designs. Metal Trends products are very low maintenance, easily cleaned, non-combustible and suitable for interior and exterior installations. This product family offers solutions for speech clarity, speech privacy and overall sound quality concerns in any environment. View more on the Sound Seal website. Decorative real wood panels installed on walls and ceilings that add warmth and beauty to any interior space. Available in both acoustical and decorative models in over 20+ species of wood. 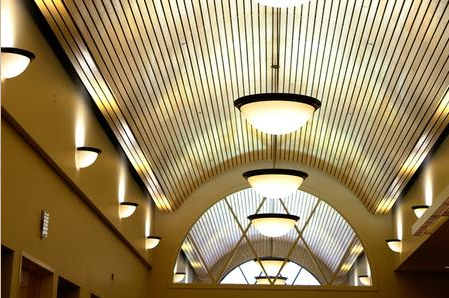 WoodTrends Products include: acoustical wood ceilings, wood walls & custom wood ceilings and wall systems. Also check out our in stock wood ceiling tiles. View more.